My wife and I grew up in Norton and later after leaving for college and first jobs, we decided to return to our home town. My wife has a degree in agriculture and environmental science and I have a degree in fine art. We hope to use this knowledge to build interest in the environment and our culture to make Southwest Virginia a tourist destination. We both have an inner drive to be successful and over the last 15 years we have seen ups and downs in our personal business but we refuse to let an industry decline (coal mining) to ruin our beautiful area. It helps an entrepreneur get the necessary equipment to expand his business. We started the main business, All Indoor Farm Store, in 2003 because of my wife's love of agriculture and animals but in 2015 we started to notice a regional decline in population, jobs and income in our area due to the loss of coal mining in Southwest Virginia. Last year we took action and decided to expand the business to include tourism and created Stone Mountain Adventures LLC. We applied for and received a $15,000 grant from the Virginia Coalfield Economic Development Authority to buy the start of our equipment. We've also put in about $10,000 of our own personal money We hope this will bring people into our region as tourist and help revive the areas economy. We are most proud of the enthusiasm the area community has had to support us. We have added 5 additional employees to our staff of 2 others to help accomplish the success of the new business. We plan to use the loan to buy 2 off road go carts, 2 paddle boats and a trailer to haul them plus some in store merchandise that would roughly be about $6,500 and the remainder $3,500 would be used to complete the remodeling process that the store needs to accommodate our expansion. We have already done some of the remodeling and equipment buying but our personal money reserve to start this venture has run out and so now we seek a loan. Why are you endorsing Neil? 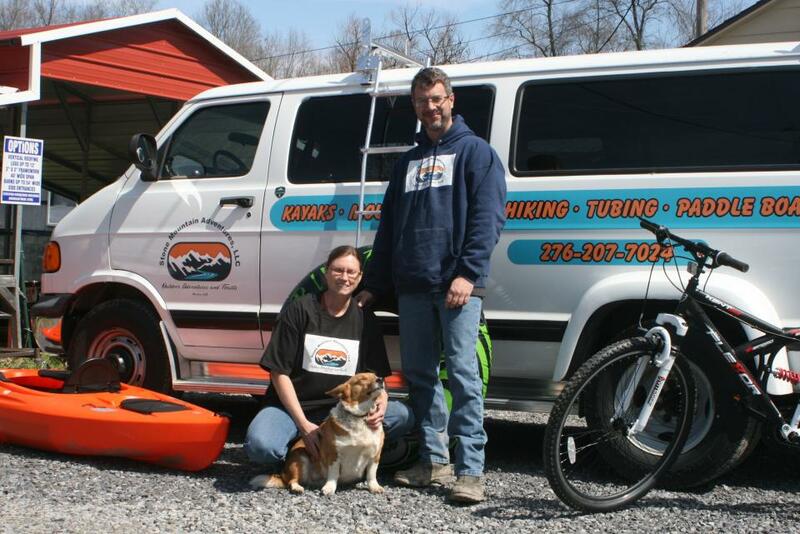 Opportunity Southwest Virginia is pleased to endorse Stone Mountain Adventures. Neil and Beth are working very closely with their community, which is part of the regional High Knob Initiative highlighting the outdoor recreation opportunities. A public-private collaborative is working to develop a master plan to attract more visitors and to provide improved access to the public lands. Neil and Beth have a strong network, a history of entrepreneurship with a current business endeavor, and a relationship with the Virginia Coalfields Economic Development Authority. Their hometown, the City of Norton, was just named a top outdoor adventure town by Blue Ridge Outdoors magazine. Neil and Beth are shaping the business to meet the needs of the community. This responsiveness and attention to customer and stakeholder needs will serve them well.